This image provided by Facebook, shows how ads on Facebook will be more transparent. Days ahead of testimony at three congressional hearings, the company is taking new steps to verify advertisers and make all ads on the site more transparent. 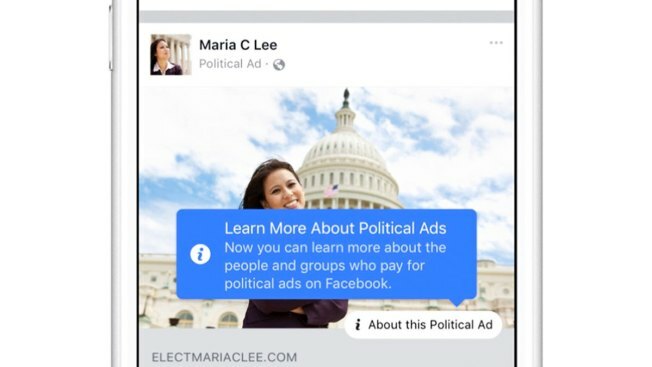 Executives for the social media company said on Oct. 27, they will verify political ad buyers, requiring them to reveal correct names and locations, and create new graphics on the site where users can click on the ads and find out more about the organizations or people behind them. Executives for the social media company said Friday they will verify political ad buyers in federal elections, requiring them to reveal correct names and locations. The site will also create new graphics where users can click on the ads and find out more about who's behind them. More broadly, Rob Goldman, Facebook's vice president in charge of ad products, said the company is building new transparency tools in which all advertisers — even those that aren't political — are associated with a page, and users can click on a link to see all of the ads any advertiser is running. President Donald Trump spoke at a rally in West Virginia Thursday night as The Wall Street Journal reported Special Counsel Robert Mueller has impaneled grand jury as part of the investigation into possible collusion between Russia and the Trump campaign. 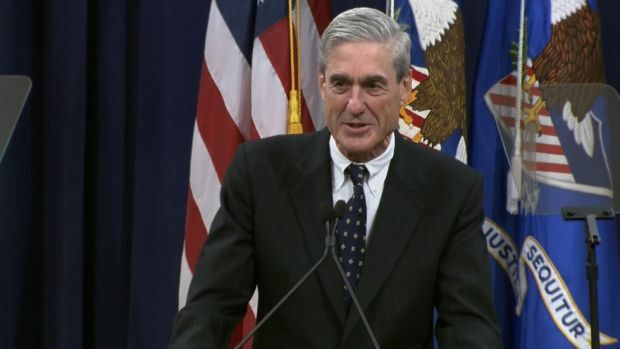 Grand juries are used to subpoena witnesses and records and to present evidence, and do not suggest any criminal charges are near or will necessarily be sought, The Associated Press reported. Facebook's announcement comes a day after Twitter said it will ban ads from RT and Sputnik, two state-sponsored Russian news outlets. Twitter also has said it will require election-related ads for candidates to disclose who is paying for them and how they are targeted. Facebook's Goldman said the company also will build a new archive of federal election ads on Facebook, including the total amount spent and the number of times an ad is displayed, he said. The archive, which will be public for anyone to search, would also have data on the audience that saw the ads, including gender and location information. The archive would eventually hold up to four years of data. "This is a good first step but it's not at all the last step, there's a lot to learn once we start testing," Goldman said in an interview. It is also likely meant to head off bipartisan legislation in the Senate that would require social media companies to keep public files of election ads and try to ensure they are not purchased by foreigners. Though Virginia Sen. Mark Warner, a Democratic co-sponsor of the legislation, has said his bill would be "the lightest touch possible," social media companies would rather set their own guidelines than face new regulation. The company's chief operating officer, Sheryl Sandberg, visited several congressional offices this month to convey that the company is taking the issue seriously. Facebook has also turned over the 3,000 ads to Congress and special counsel Robert Mueller, who is doing his own investigation of Russian interference in the election and whether it was tied to President Donald Trump's campaign. Warner, who is the top Democrat on the Senate intelligence committee, said on Thursday that the moves by the social media companies in the week leading up to the hearings "show a growing recognition of how serious this problem is." Still, he said, he wants to see at the hearings next week a "fuller disclosure of exactly what happened in 2016." President Donald Trump said Thursday he would "thank" Russian President Vladimir Putin for ousting U.S. diplomats from Russia, saying he was "thankful" for reducing the federal government's payroll. 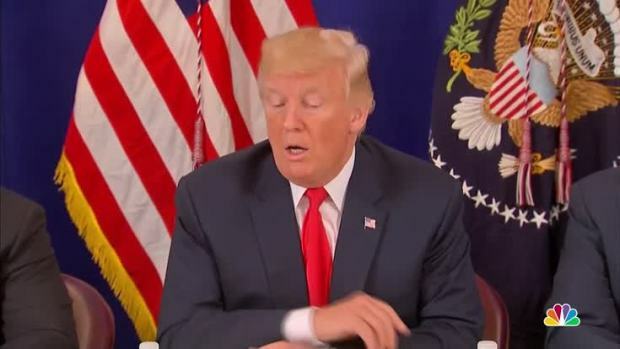 The ouster followed U.S. imposing sanctions on Russia in response to Kremlin interference in the 2016 presidential election. It was not clear how Putin's retaliatory expulsion might reduce the payroll of the U.S. government. Some analysts have warned that policing such online election ads can be difficult. It's one thing to enforce advertising rules for a print newspaper or a TV station, where real humans can vet each ad before it is printed or aired. But that is much more complicated when automated advertising platforms allow millions of advertisers — basically anyone with a credit card and internet access — to place an ad. "For political advertisers that do not proactively disclose themselves, we are building machine learning tools that will help us find them and require them to verify their identity," he said in a Facebook blog post. Associated Press writer Barbara Ortutay contributed to this report from New York.